Bulk up wild game with this high-protein mix. You are what you eat. Same goes for wild game. Selecting the right forage for your hunting plot makes all the difference! 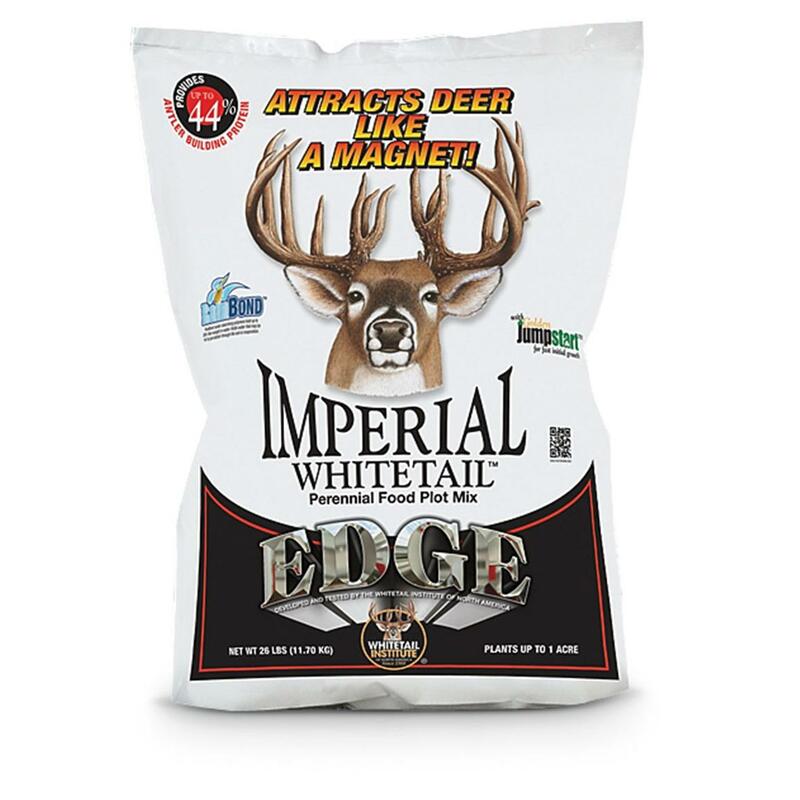 Imperial Whitetail Edge is a blend of a Sainfoin variety, Persist Forb, selected grazing alfalfas and WINA-100 forage chicory. 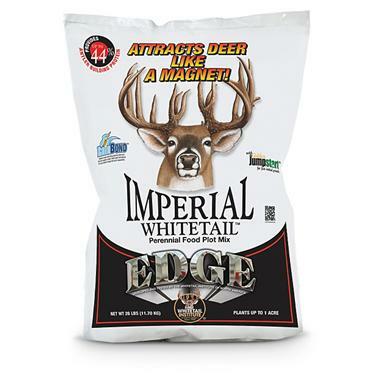 Whitetail Institute Imperial Whitetail Edge Plot Mix, 6.5-lb. Bag is rated 5.0 out of 5 by 2. Rated 5 out of 5 by JONAS from Used last year and did well on new ground. Pennington Durana Clover Food Plot Seed, 3 lb. Provides attraction and nutrition year round. Brings them in. Grows them big.